Anyone who has stood atop a skyscraper, be it New York’s Empire State Building or Dubai’s Burj Khalifa, can attest to the power of nature at such heights. Not only is the wind strong, it also behaves in complex ways when coming into contact with tall buildings, meaning there is more to building megastructures than just the aesthetic. 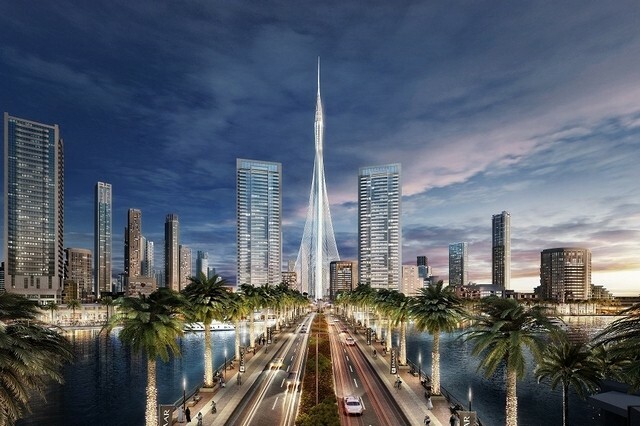 With this in mind, Emaar Properties, the Dubai developer, has confirmed that it has completed advanced wind tunnel tests on The Tower at Dubai Creek Harbour, which is set to be 100 metres taller than the 828-metre Burj Khalifa when complete. Emaar said the wind tests were crucial in defining the final height and design aspects, while the project’s Spanish-Swiss architect Santiago Calatrava Valls added that they “were an important component in the structural design stage, and we have deployed innovative engineering techniques to confirm the strength of the new icon”. The tests involved 12 different analysis and testing methods to ensure that all possible ­cases were considered, according to Emaar. They were carried out for the entirety of the project using a scale model. As part of climate tests in the local area, measurements were taken at different heights, including data provided by the weather stations. Seismic studies were also done on the local ground conditions “to guarantee the maximum safety and stability of the building. The design of The Tower also includes multiple damper systems and shock absorption systems, located at different points and heights”, Emaar said. Work on the project got under way last month, with Aurecon appointed as the engineer and architect on record and the Cala­trava team leading design and engineering works. The Tower was described by the Emaar chairman Mohamed Alabbar as “an ambitious project on a never-before scale and design” which will require “high-precision engineering across all its facets”. He said The Tower “will serve as a beacon of hope and positivity for the city and the region”. The 6 square kilometre master-planned community was revealed in April, when Emaar said it would have 2km of creekside waterfront and would house 679 million sq metres of residential space, 851,000 sq metres of commercial property, 22 hotels with 4,400 rooms and 11.1 million sq metres of retail. By comparison, The Dubai Mall has an overall footprint of 1.1 million sq metres. The Tower will feature a VIP observation garden deck, and glazed rotating balconies. It is scheduled to be delivered ahead of Expo 2020 starting in October of that year, and is to cost US$1 billion to build.